PVC Records changed the cover design, moving the title to the top of the sleeve. This was to allow the album's title to be easily seen whilst flipping through LPs in a shop rack. The inner sleeve was printed on very thin, flimsy glossy paper - it's easily bent and torn. 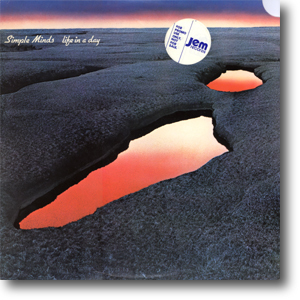 This promotional issue was simply a stock issue with Jem promotional sticker with the corner of the LP sleeve removed. (Jem Records were the distributors). By cutting off the corner, it made the LP less desirable, and less likely to be sold on. These promotional copies are very rare. LP with black and blue labels in a full colour picture sleeve. Mastered by Steve Marcussen at Precision Lacquer. 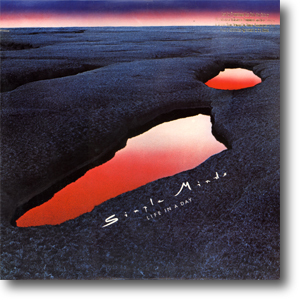 In 1987, Virgin Records America reissued the album, reverting back to the original sleeve design, but ditching the inner sleeve in the process. These gold-stamped promotional copies were also distributed. The sleeves were stamped top-right, whilst a notch was cut into the left hand side.